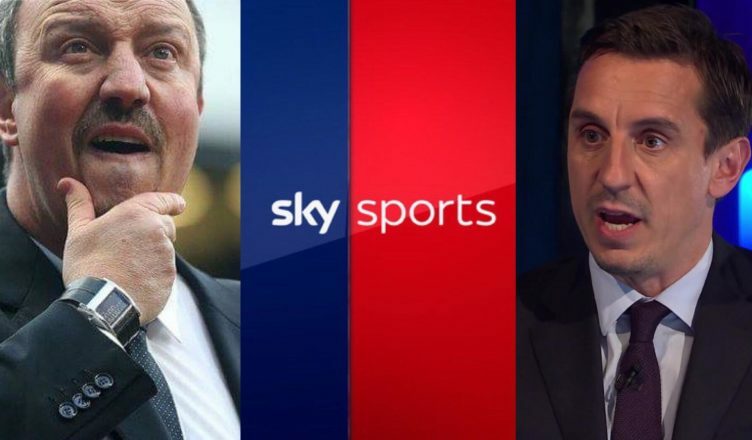 Sky’s double standards strike again – Bournemouth praised for the exact thing Rafa was slated for.. – NUFC blog – Newcastle United blog – NUFC Fixtures, News and Forum. Despite having not one shot, 18% possession and 0 corners, Sky Sports have described Bournemouth as “well drilled” with “good shape” in their 1-0 loss to Man City on Saturday – praising an approach Benitez was slated for. A reminder that little over a year ago, Sky branded Rafa Benitez’s Newcastle United as “embarrassing” in our 0-1 home defeat to Man City – despite the fact we had more shots, more possession, more corners than Bournemouth did against Man City on that day; not to mention the fact we also limited City to fewer shots. Just look at the comparison below, showing just how differently the two convincing 0-1 defeats were portrayed. “Containment is the right way to look at it because you’re going to have a lot of time without the ball. But I also don’t think we should just sit and accept that first 30 minutes. No ambition from Newcastle. That’s not acceptable in this league. “It’s difficult of course from Rafa Benitez’s point of view. The finish, Sterling watches it come over the defender, and he hits it off balance – it’s something he could never have done two years ago. Also keep in mind this is a Bournemouth side full of exciting attackers who have become ‘renowned’ for a free flowing offensive approach under Howe vs a newly promoted Newcastle side who were full of Championship players that night and trying to stop a record-setting City side in a bid to stay up. I sometimes think this idea that there’s an ‘agenda’ against us is way over the top, but Sky don’t help themselves.